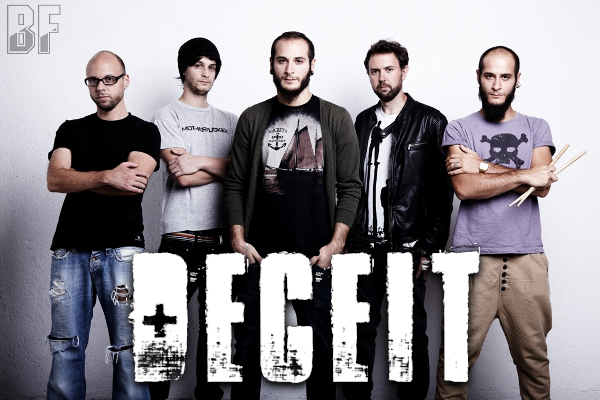 Italian band DECEIT traces its origins to a cover project called "The River Of Deceit", born in 2009 with their roots in Nineties Rock and bands such as Foo Fighters, Queens Of The Stone Age and Alice In Chains to name a few. The band debuted in 2010 with their self titled EP, which attracted positive reactions throughout Europe and the rest of the world and allowed them to build a strong live activity. In 2011 DECEIT released a stunning cover version of Massive Attack’s hit ‘Teardrop’. The video for that song scored thousands of views on YouTube and widened the band’s following to a much bigger extent. 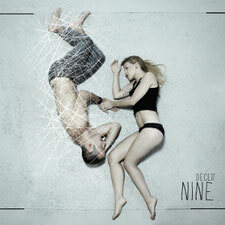 Now DECEIT’s debut full- length album "Nine" contains 10 brand new songs made of angry guitar riffs and plenty of melodies, will be released only available digitally through Scarlet Records on October 10th. It will be a big step forward for a band that is constantly striving for better songwriting and overall musicianship. A video of the first single "First father" will be released September 30th, 2012.